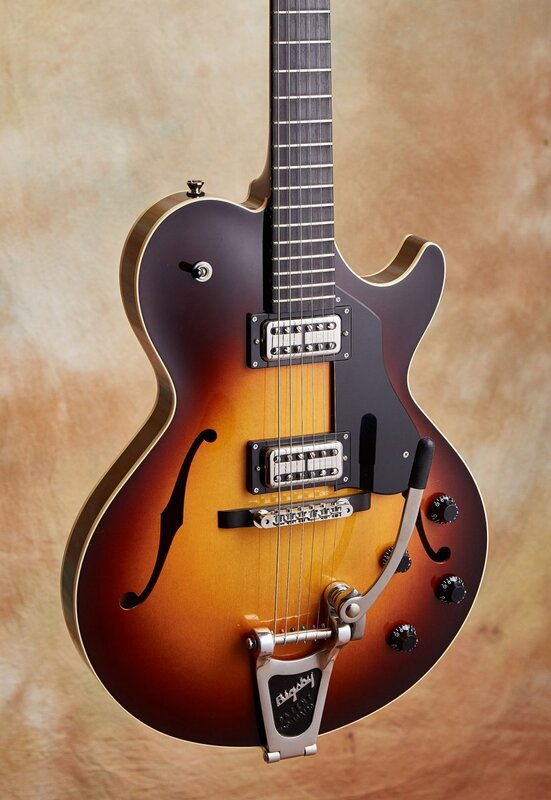 Imagine a guitar that can take you into Gretsch territory but with the fit, finish and playability of a Collings electric. Yes you can do Chet, Cochran, and even reach deep into Beatles territory with this baby. 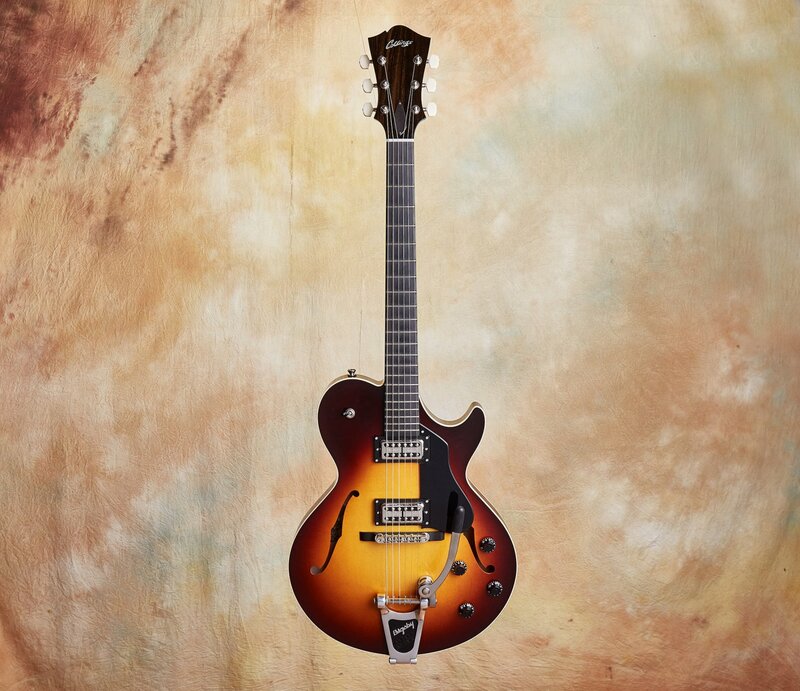 Weighing in at only 5.6 lbs this Statesman is one lightest Bigsby equipped hollow body guitars. 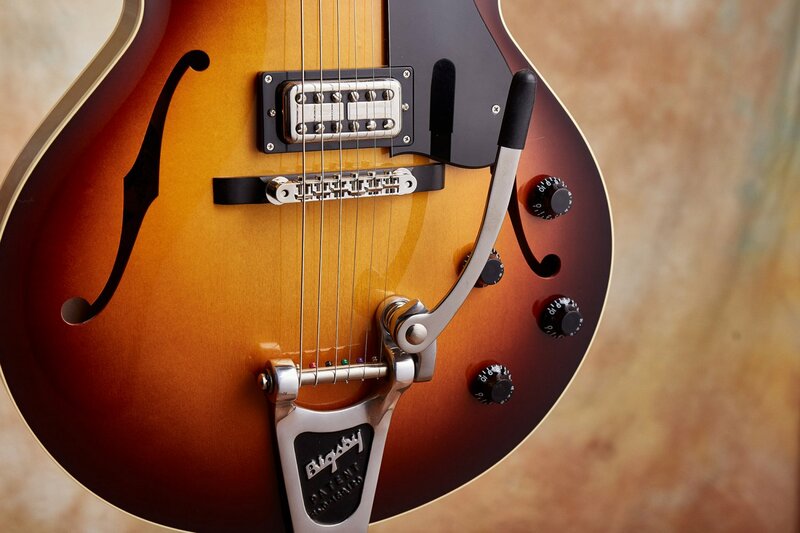 Great tones, great feel - just love the '50s neck profile - and great vibe. 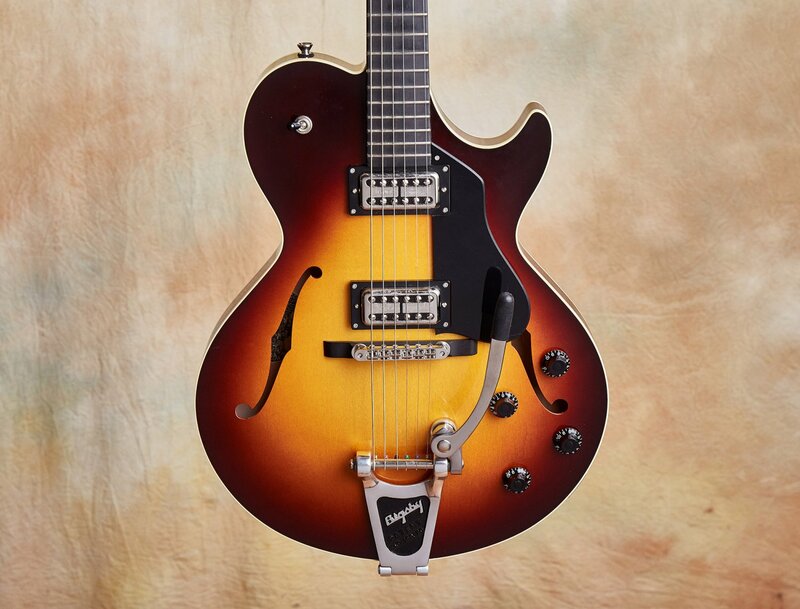 Inspired by the classic sounds pioneered by players such as Chet Atkins and Eddie Cochran, the fully hollow Statesman LC captures the vibe and tone of this iconic era with trestle-braced laminate body, Bigsby B3 and TV Jones Filtertron pickups. 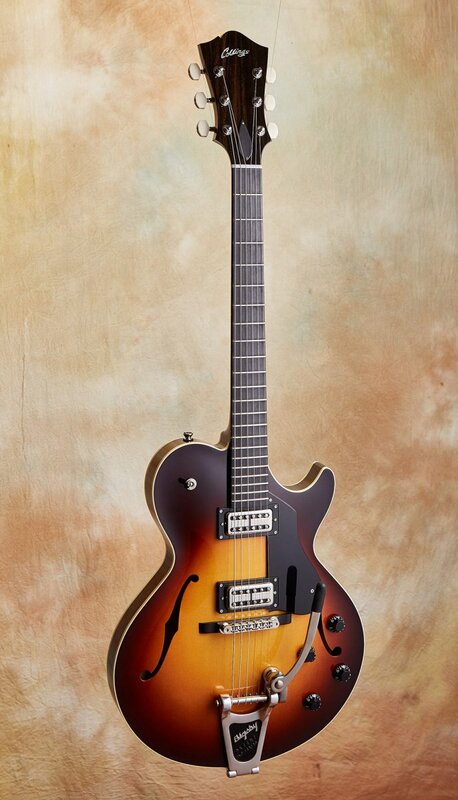 This preowned 2015 Collings Statesman LC is actually the first of this model that I've had the pleasure to play. Very impressive indeed! 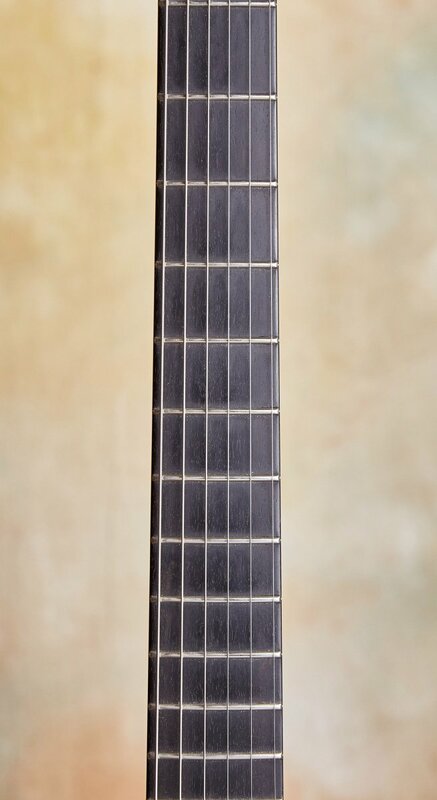 The condition is very good plus, noting a finish scratch near the rim across from the F hole on the bass side, some random light pick scratches, and a few tiny dings on the back top edge of the headstock. 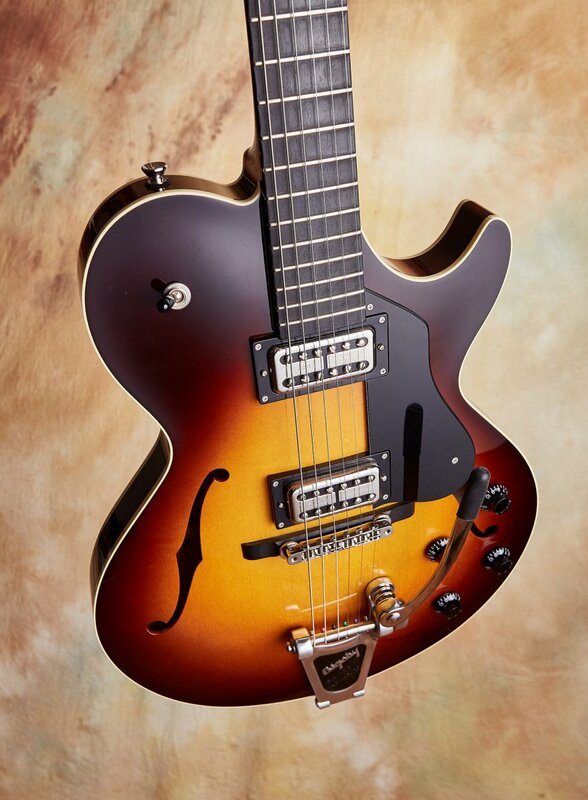 Imagine a guitar that can take you into Gretsch territory but with the fit, finish and playability of a Collings electric. Yes you can do Chet, Cochran, and even reach deep into Beatles territory with this baby. 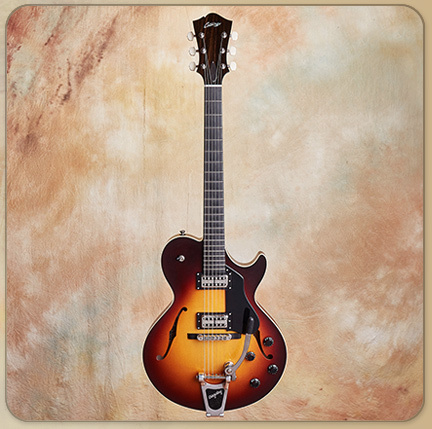 Weighing in at only 5.6 lbs this Statesman is one lightest Bigsby equipped hollow body guitars I have played. 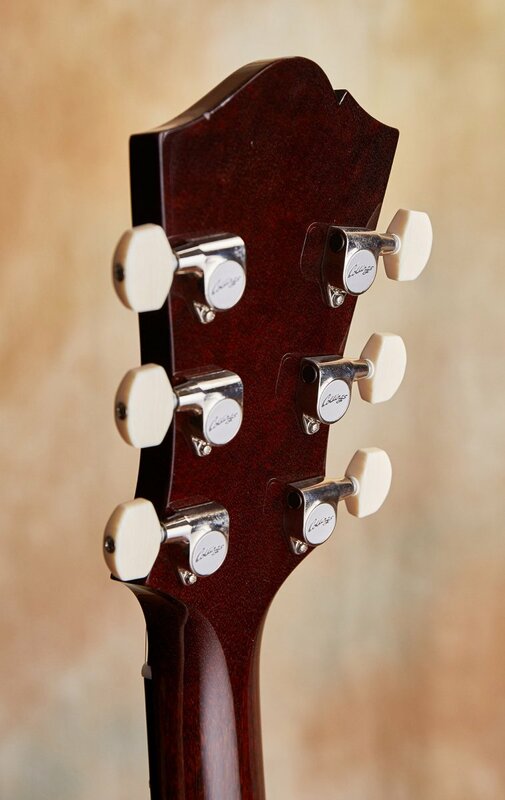 Great tones, great feel - just love the '50s neck profile - and great vibe, I'm now a fan of the Collings Statesman! Bill Collings moved from Ohio to Texas in the mid 1970’s. 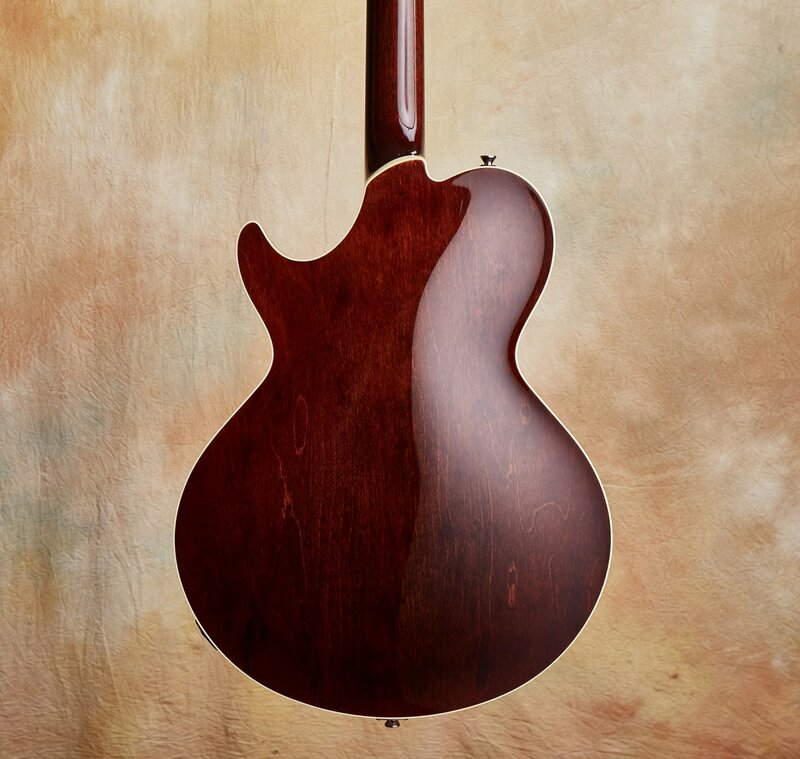 Spurred by a lack of interest in medical school, this move enabled him to combine lifelong interests in both guitars and tools into the challenge of stringed instrument building and repair. After a couple of years in Houston, several guitars and a few banjos later, he headed west to southern California. 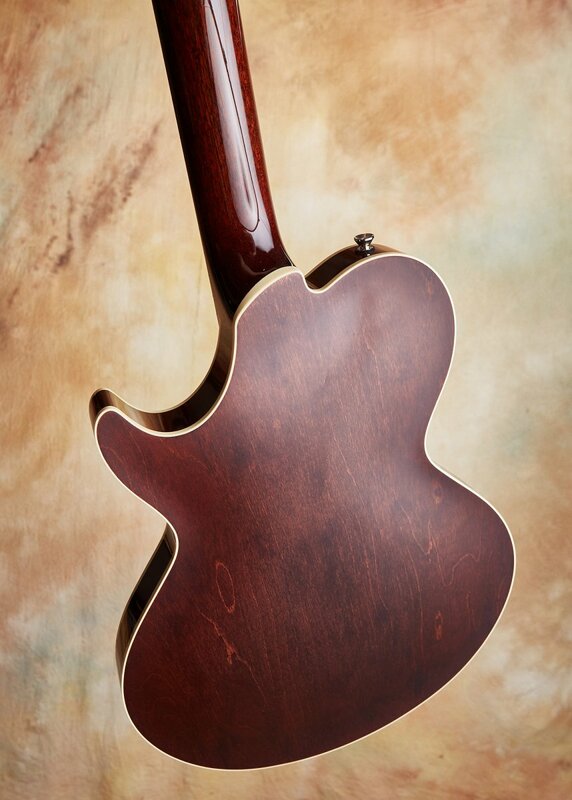 Making it only as far as Austin, where he shared shops with fellow luthiers Tom Ellis and Mike Stevens. From there, he set up his own small shop in a wooden "one car" garage. 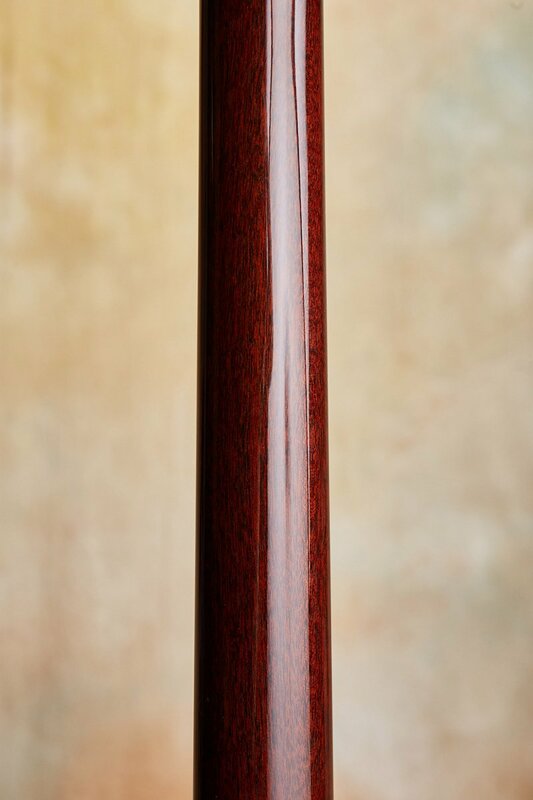 His reputation for outstanding quality and meticulous attention to detail quickly spread. In 1989, he rented a 1000 square foot space and hired two helpers. 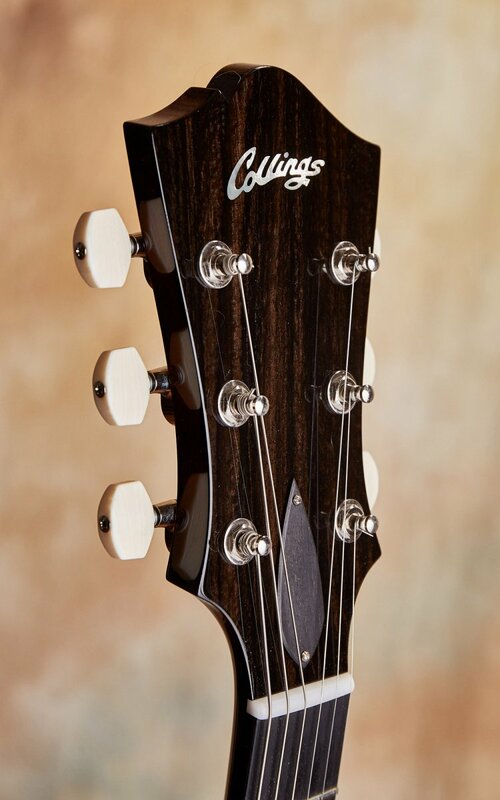 Fast forward to present day where Collings craftsmanship is respected by professional and amateur musicians alike…anyone on the quest for quality. 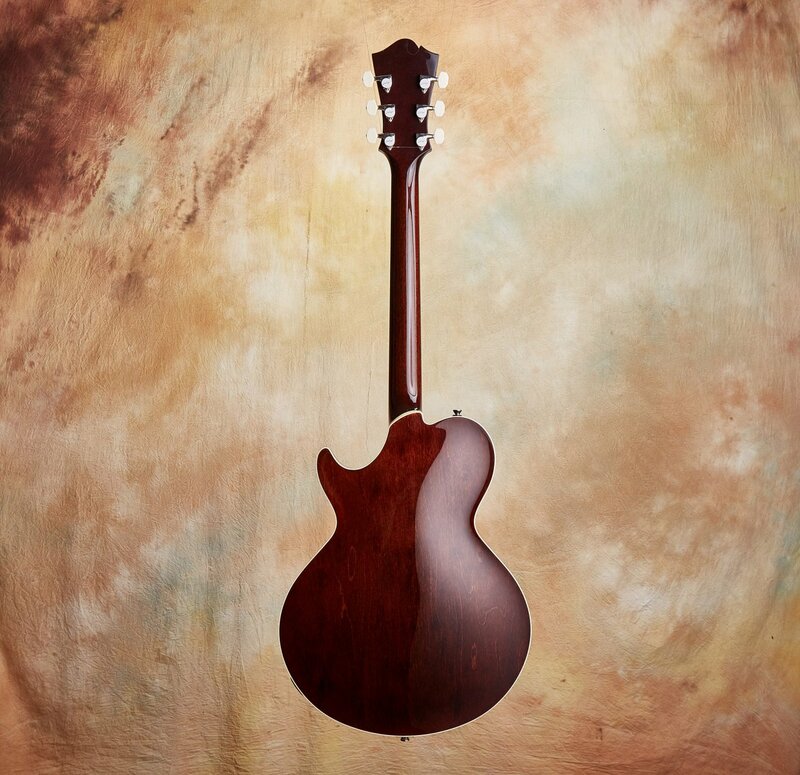 Some of these include artists; Keith Richards, Lyle Lovett, Pete Townshend, Emmylou Harris, Andy Summers, David Crosby, Chris Hillman, Joni Mitchell, Don Felder, John Sebastian, Lou Reed, John Fogerty, Tim O'Brien, Pete Huttlinger, Kenny Smith, Brian May, Joan Baez, John Prine, Nigel Tufnel of Spinal Tap, and Steven Spielberg to name a few. You owe it to yourself to try one.